Paying for car insurance is never an easy pill to swallow. But for families with children in college, this expense can be even more daunting. Public university tuition has become three times more expensive since the 1970s, while private university tuition has increased by a factor of four. Median family incomes, on the other hand, have only increased by a fraction of that. This leaves less money on the table for remaining expenses, such as food, rent, and you guessed it, insurance. Considering that most traditional college students are younger and thus have less driving experience and increased likelihoods of getting into accidents, providers tend to hike up rates for this demographic. Fortunately, many car insurance providers offer policy discounts specifically for college students with GPAs of 3.0 or higher (commonly known as a Good Student Discount), those who don’t have a car with them on campus (known as the Student Away at School Discount), and those who have completed the TeenSmart driving program. Insurify researched insurance companies that provided a variety of student discounts to help you find the best car insurance for college students. For each carrier, Insurify assessed whether it provides a Good Student Discount, a Student Away at School Discount, a TeenSmart Discount, and a Driving Training Discount, and how big of a cut these discounts can provide. If you’re not a college driver but looking to save on your own car insurance premiums, check out our list of the best car insurance carriers of the year. Using an insurance quote comparison website like Insurify is an easy way to compare rates and find the best policy for you. 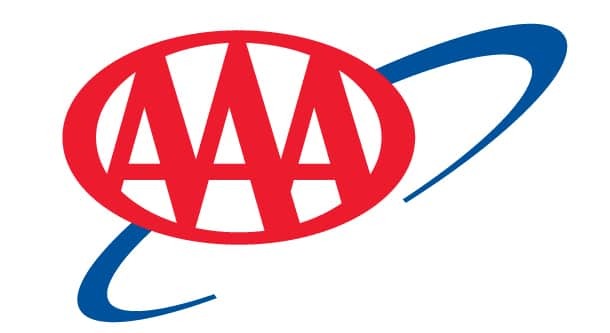 Also known as the American Automobile Association, AAA has been around since 1902 and has 58 million members in the United States and Canada. In addition to providing car insurance, AAA members receive 24/7 roadside assistance and some pretty significant discounts for college students. The less common Driver Training Discount applies to members who have taken the relevant AAA-approved driver education and training program. As of 2015, American Family had approximately two percent of the car insurance market share, making it one of the largest providers in the United States. Though they only provide two student-relevant discount options, these discounts can cut off a hefty percentage from your premium. Allstate covers 10 percent of the car insurance market share, making it the third largest car insurance companies in the United States. Perhaps due in part to the size of its consumer base, Allstate provides some significant discounts for student drivers. With 6,200 agencies in the United States and over 100 years in business, Auto-Owners Insurance is one of the largest and longest standing car insurance providers in the country. All this time in the industry must have shown them that students with good grades and without a car on campus deserve cheaper rates, because their student discounts are some of the biggest. Unfortunately, they only provide policies in 26 states. GEICO does more than put a talking lizard on TV—they actually provide car insurance, and with a pretty good student discount to boot. Of the five largest car insurance providers in the country (State Farm, GEICO, Allstate, Progressive, and Farmers), GEICO also provides the cheapest rates, on average. So, though they only provide one type of student discount, their cheaper rates might make them the right option for you. Founded in 1868, MetLife has been around for 150 years. It has 90 million customers in over 60 countries. Metlife’s home and auto branch offers insurance policies in all 50 states. This extensive history and expansive reach likely contributes to the variety and size of discounts they can provide to college students. According to the Insurance Information Institute, State Farm had 18.3 percent of the market share as of 2015, making it the top car insurance provider by that metric. Because of its size and geographic representation (State Farm is available in all 50 states), they are able to provide sizeable student discounts. Additionally, as with many other large insurance providers, you can get even bigger discounts by bundling multiple types of policies, such as home and life. Though Safeco offers many types of insurance, they lack some common technological services. For example, online filing for auto claims is currently available in only some states. Many other insurance companies (i.e. their competition) provide online claim filing and have for a while. Additionally, though not the most expensive, Safeco also is not the cheapest. However, they do provide a variety of student discounts. Especially if bundled with a home insurance policy, these discounts could make a buying through Safeco worth it. Despite being one of the smaller providers in the insurance game, Westfield provides some significant student discounts. These could make Westfield a competitive option and potentially the best source of car insurance for a college student. Plymouth Rock Assurance is one of the new kids on the block when it comes to the insurance game. Founded in 1982, they are only available in New Jersey, Massachusetts, Connecticut, New Hampshire, and Pennsylvania. But, for students in those states, they offer decent discounts. Progressive is not available in all states, but according to the Insurance Information Institute, they had 8.8 percent of the car insurance market share as of 2015. By offering a Good Student Discount and a Student Away at School Discount, we’re sure that the college students among their many customers appreciate the price cut they get for good grades and leaving the car at home. If you or someone you know is looking to find the best car insurance for college students, whether it be themselves or their family member, insurance quote comparison sites like Insurify make it easy to find all the providers with student discounts. When using Insurify, all you have to do is mark that you are a student in the questionnaire, and quotes with relevant discounts will be delivered to you. Though every one of the companies listed provides significant discounts for college students who meet certain criteria (such as a high GPA), you should not switch providers solely because others with larger discounts exist. If your current insurer provides you with a loyalty discount or cheaper rates for bundling car insurance with home insurance, getting a new policy — even one with a student discount — might not save you money. So, be sure to do the math before making a switch. If you have a kid heading off to college or are a college student yourself, though, we hope this information helps you select the best policy possible.